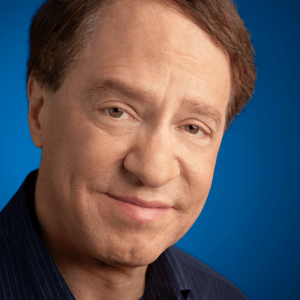 Ray Kurzweil is one of the world leading inventors, thinkers, and futurists, with a thirty-year track record of accurate predictions. Called "the restless genius" by The Wall Street Journal and "the ultimate thinking machine" by Forbes magazine, Ray was selected as one of the top entrepreneurs by Inc. magazine, which described him as the "rightful heir to Thomas Edison." PBS selected him as one of the "sixteen revolutionaries who made America." Ray was the principal inventor of the first CCD flat-bed scanner, the first omni-font optical character recognition program, the first print-to-speech reading machine for the blind, the first text-to-speech synthesizer, the first music synthesizer capable of recreating the grand piano and other orchestral instruments, and the first commercially marketed large-vocabulary speech recognition. Among his many honors, Ray received the 2015 Technical Grammy Award for outstanding achievements in the field of music technology; he is the recipient of the National Medal of Technology, was inducted into the National Inventors Hall of Fame, holds twenty-one honorary Doctorates, and honors from three U.S. presidents. Ray has written five national best-selling books, including New York Times best sellers The Singularity Is Near (2005) and How To Create A Mind (2012). He is Co-Founder and Chancellor of Singularity University and a Director of Engineering at Google heading up a team developing machine intelligence and natural language understanding.